Description: When former New Ager Warren Smith began reading The Purpose-Driven Life, he was shocked to discover language, ideas, terms and philosophies that he learned as a New Ager. 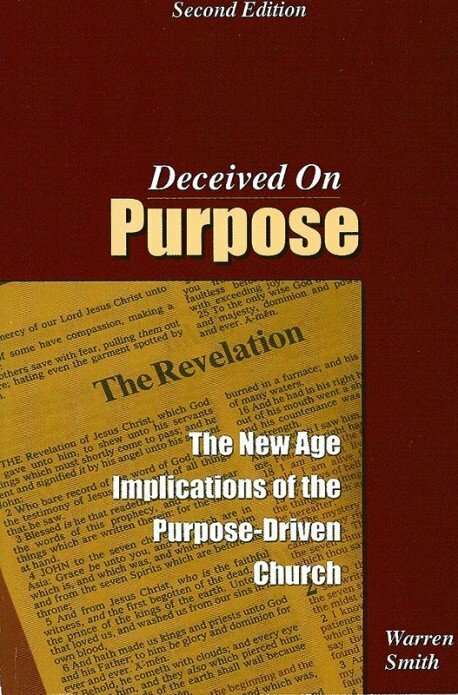 If you have ever wondered what really lies beneath the surface of the Purpose-Driven agenda, then Deceived on Purpose is a must-read. A stunning and thought-provoking testimonial. Author Bio: Warren Smith (B.A. University of Pennsylvania; M.S.W. Tulane University) is a free lance writer and community social worker who was formerly involved in the New Age movement. He has served as a program coordinator for people with special needs, directed several homeless programs, and has worked most recently as a Hospice social worker in California. He has written extensively on the subject of spiritual deception and has been widely interviewed on radio and television. He has also written The Lighthouse That Was Dark and Reinventing Jesus Christ. 1. What is the connection between Rick Warren and Robert Schuller and what is the significance of this? 2. What does "God's Dream" mean? 3. Are the details of biblical prophecy and Jesus' return our business? 4. What is Rick Warren's "Global P.E.A.C.E. Plan" really all about? 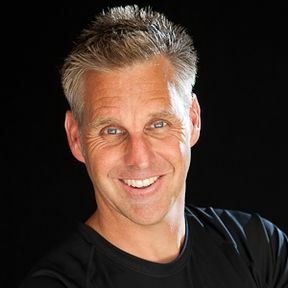 The testimony of a former New Ager and how he sees a connection between Purpose-Driven Life and the New Age! It is clear that Robert Schuller is tied in with New Age leaders and philosophies - now the question is, is Rick Warren connected to Robert Schuller? We believe he is, and that puts the majority of the Christian church at risk! I was not that surprised that Robert Schuller would use a New Age leader to make a sermon point about hope. But Rick Warren? Bernie Siegel's New Age hope is a false hope and no hope at all. Was it Schuller's obvious high regard for Bernie Siegel, and Rick Warren's high regard for Robert Schuller that prompted Rick Warren to make this reference to Siegel in The Purpose Driven Life. Rick Warrens Purpose-Driven Church campaign is being hailed by countless Christians everywhere as "a great move of God." With millions of Rick Warrens books already sold and thousands of churches involved in the movement, there has been real excitement about what is going on. Nevertheless, a number of believers outside the movement have been uneasy about what is happening. Something doesn't seem quite right. Even with all of its apparent "success," the Purpose-Driven phenomenon is raising some red flags. Is it really a move of God? Is the Church in the midst of legitimate revival? Or is it all just "a little too good to be true?" In 1984, my wife and I came out of the New Age movement. In my 1992 book The Light that was Dark, I describe our journey out of spiritual deception. We found out that the spiritual teachings we had put our trust in were not from God and that the "Jesus" we had been following was not the real Jesus Christ. I wrote how we learned about the reality of a deceptive spirit world and how the Bible was filled with warnings about everything we had gotten so involved in. I explained how calculating and deceptive the spirit world had been in its dealings with us. I recounted the intensity of the spiritual warfare, as we saw through the deception and committed our lives to the true Jesus Christ. I warned Christian believers that the same false New Age "Christ" who had so deceived us was moving onto the world scene and was already in the process of deceiving the Church. I warned that Christians had to be very careful about the teachings they were accepting. In a more recent book, Reinventing Jesus Christ: The New Gospel, I reiterated and expanded upon these same warnings. With this New Age background and perspective, I began my reading of The Purpose-Driven Life early in the fall of 2003. By then it had become a runaway national bestseller. It seemed that almost everyone was being touched by Rick Warren in one way or another. Almost everything being said was very positive. What I thought would be a pretty quick read turned out to be a lengthy process that included the writing of this book. Barely into my reading of The Purpose-Driven Life, I had immediate questions and concerns. And then, as I read along, one issue would seem to lead to another. It didn’t take long to see that Rick Warren wasn’t the only one who had definite purposes for The Purpose-Driven Church. It became very clear that our spiritual Adversary had his purposes too. Because of my New Age background I have written this book, Deceived on Purpose, to specifically address some of the New Age implications of these purposes. This is an unorthodox and, at times, awkward book, in that it attempts to recapture some of my process as I read through The Purpose-Driven Life. In a way, the chapters of this book are like a series of snapshots of what I was encountering and what I was thinking as I read. Hopefully, what I went through will encourage you to take a closer look at some of the issues I raise concerning The Purpose-Driven Life. Because I believe that Rick Warren is in the process of leading the Church astray, many people will regard this book as being "negative." But I dont look at it that way. Certain issues in The Purpose-Driven Life have been overlooked and need to be taken into account. The Apostle Paul said "it is a shame" that we have to talk about these kinds of things, but talk about them we must (Ephesians 5:12). The issues I raise are not personal issues between Rick Warren and myself. Because Rick Warrens book is in the public domain and has been read by millions of people, I have chosen to respond to his book in this same public arena. Because of my background, I have generally limited my discussion to what I believe are the New Age implications of The Purpose-Driven Life. This necessarily includes Rick Warren's relationship with Robert Schuller. I have made no attempt to "balance" my concerns with praise for Rick Warren because so many people have already done that. In fact, I would argue that my critique offers a "balance" to the largely predominant, one-sided acclaim that he has mainly received up to this point. While this does not make for very uplifting reading, it keeps the focus on the specific issues that I felt needed to be addressed. Thanks for being open enough to read my concerns and, hopefully, to prayerfully consider what I have tried to convey.